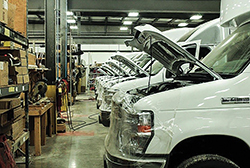 With a renewed confidence, crews began a systematic rebuilding and started producing vehicles just weeks after the first load of materials were set back in place. “Now we have the time to catch our breath and reflect on all we have accomplished together this year, and give thanks,” he said. Through the efforts of many, including a dedicated distributor network, Turtle Top now has its strongest backlog in company history. Most of its 200,000 square-foot facility is being utilized, yet the company has room to grow as the needs of customers and the industry change. Additionally, the staff have increased an already paramount focus on service after the sale. 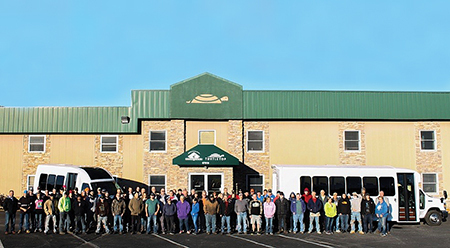 “We simply make sure our distributors and customers have every tool imaginable and have that familiar and reliable voice on the other line ready to react to their needs,” said Shane Tom, part of the fifth generation of the Cripe / Tom family at Turtle Top. 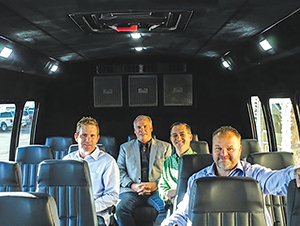 Today, the commercial bus pioneer continues to focus on building safe, reliable commercial and luxury bus products best in initial quality and designed for years of use. They continuously look forward to meeting what operators in various market segments desire, so they can run efficiently, safely and effectively. Models such as the Vanterra, VT3 and Terra Transit XL are all new for 2019. The Odyssey XL had recent cosmetic updates and the Odyssey is slated for updates in 2019. With the core of the original team returning and the fourth and fifth generations of the founders involved, Turtle Top stands ready to take on the challenges of their customers. After just one year, the company’s production lines are full as they grow in various market segments, including Federal Transit Administration-/state-funded, parking, tour and charter, assisted living and livery. New buses fill a production line on the campus at Turtle Top. The team also gives credit to loyal vendors who stuck with them and used their expertise to help support their return. “Also, we are just excited about the future and will continue to work hard every day, listening and reacting to customers and distributors,” Shane Tom said. Turtle Top is strong and looking poised to continue building vehicles that outlast the rest and give the best price-to-product relationship in the industry. The company’s commitment is to never waiver on giving the market a viable product and stand behind that product with warranties that match.